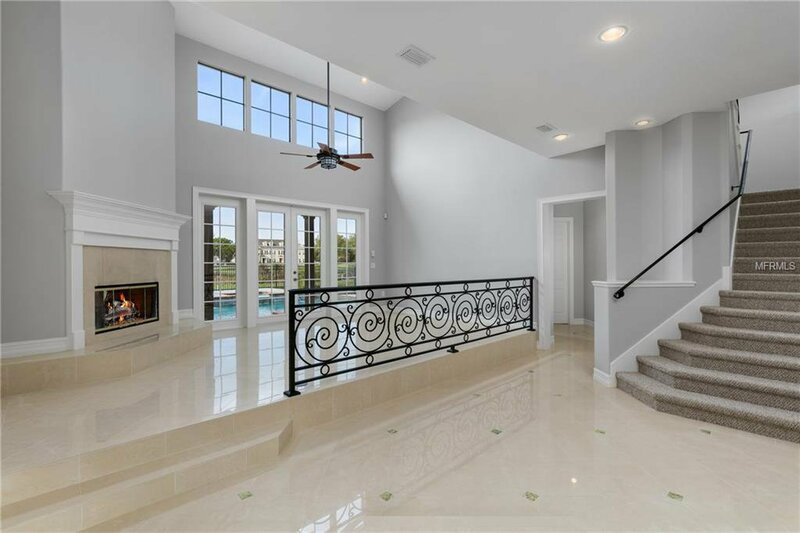 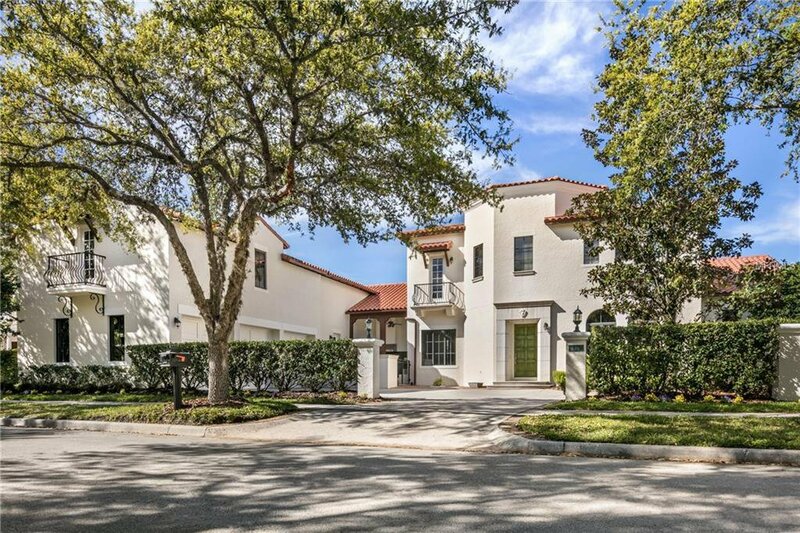 Exquisite Mediterranean masterpiece with a contemporary flare. 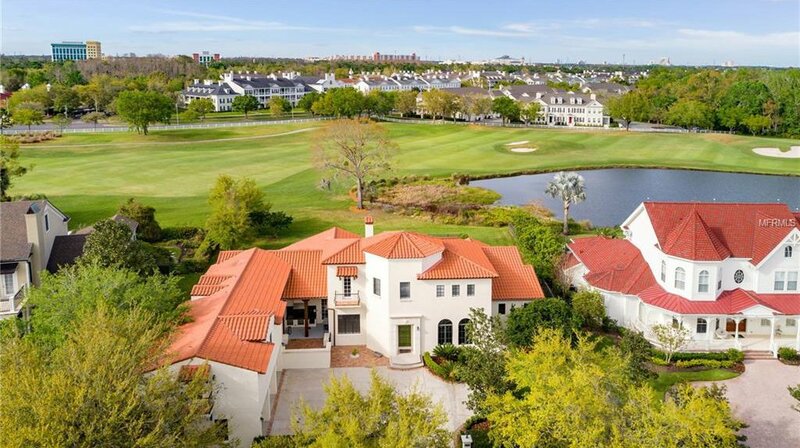 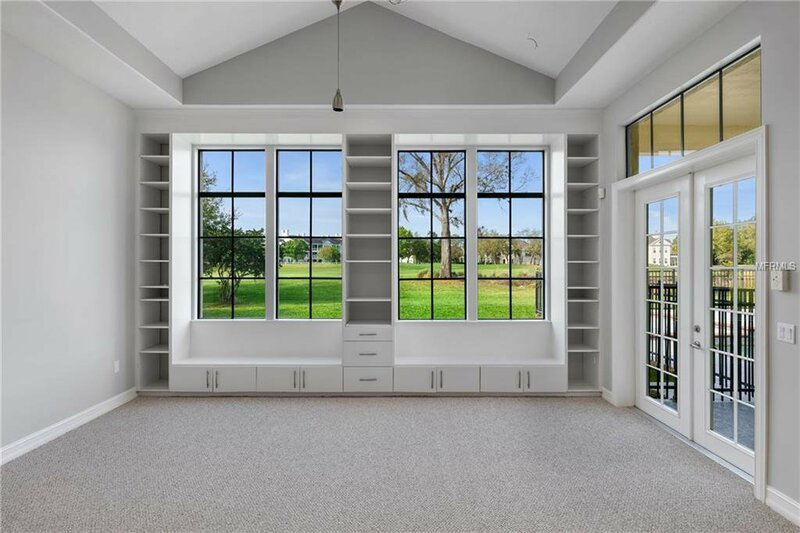 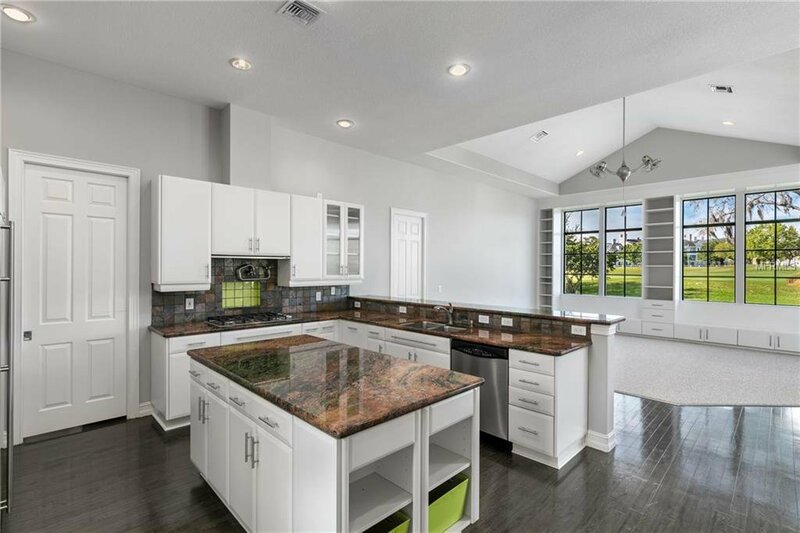 This beautiful Celebration golf front home features amazing golf and pond views and additional room for potential future expansion. 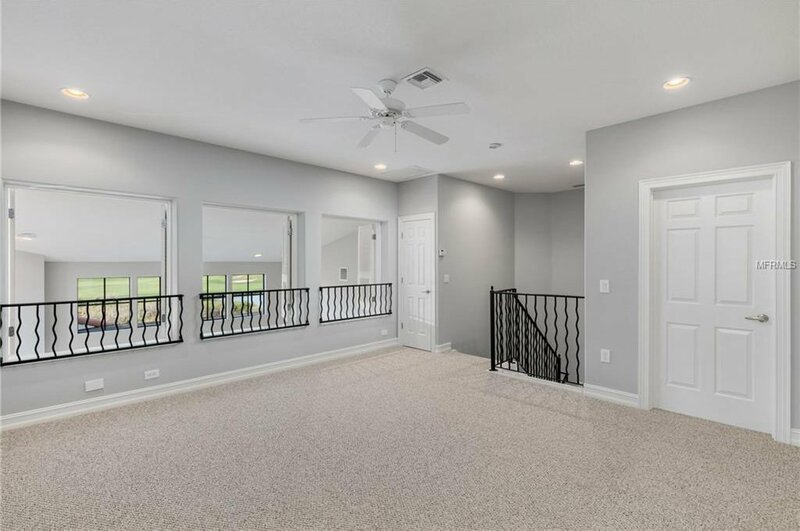 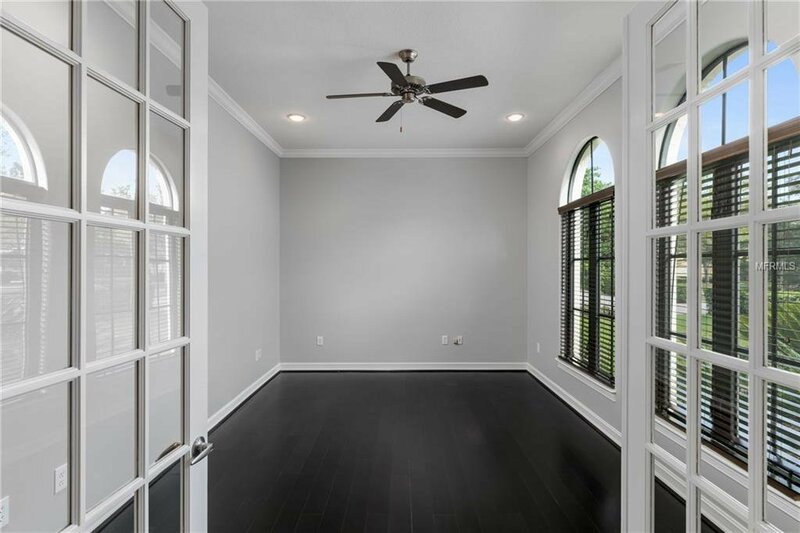 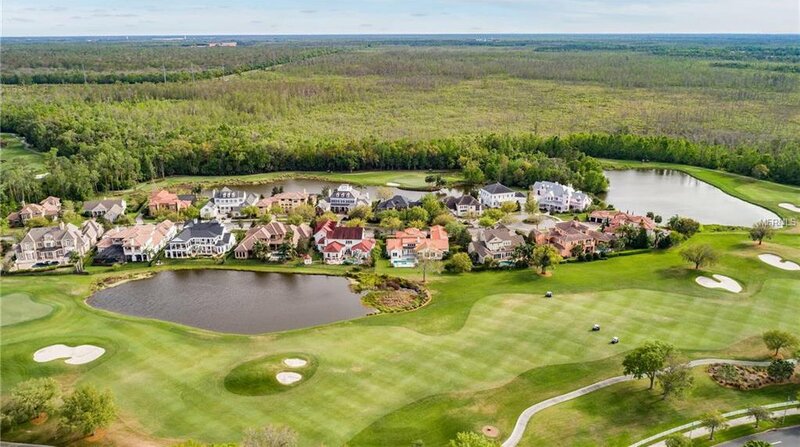 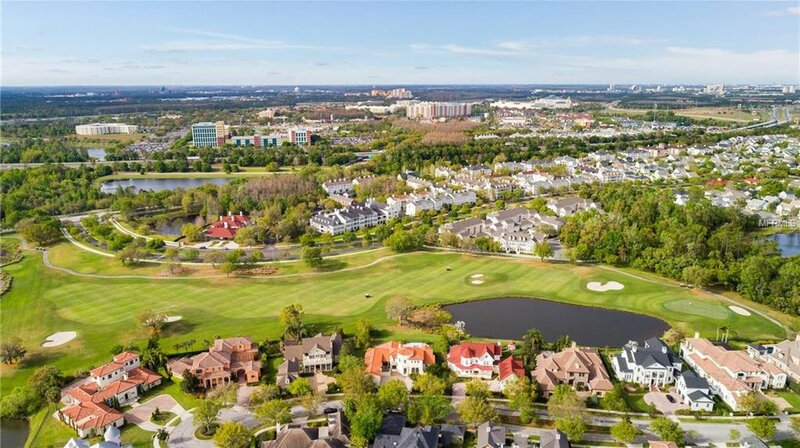 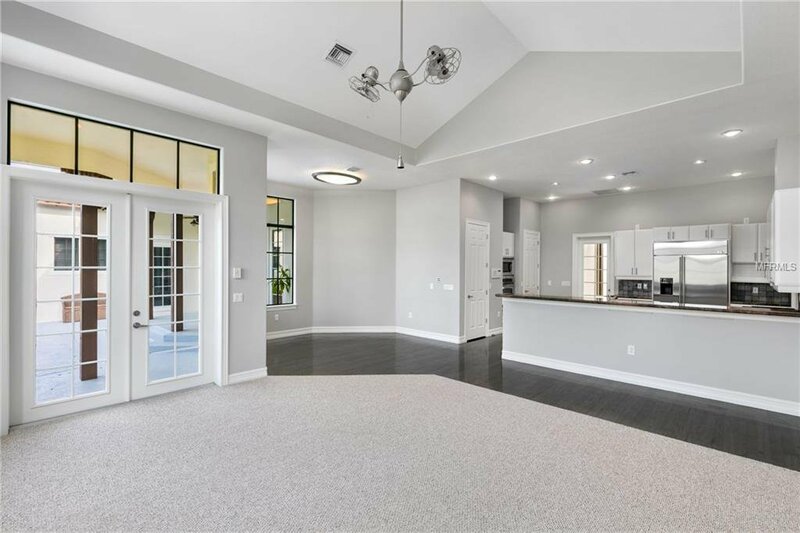 As you walk through the front doors you’re immediately greeted by bright open spaces with golf views from every angle. 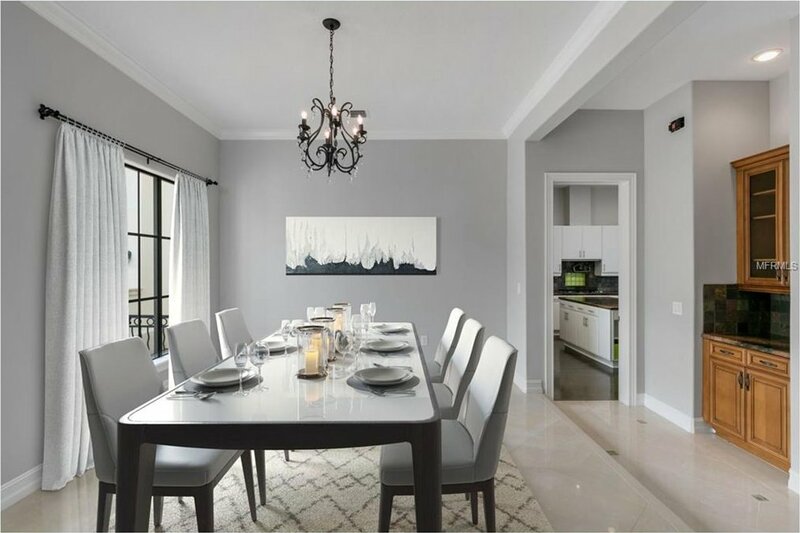 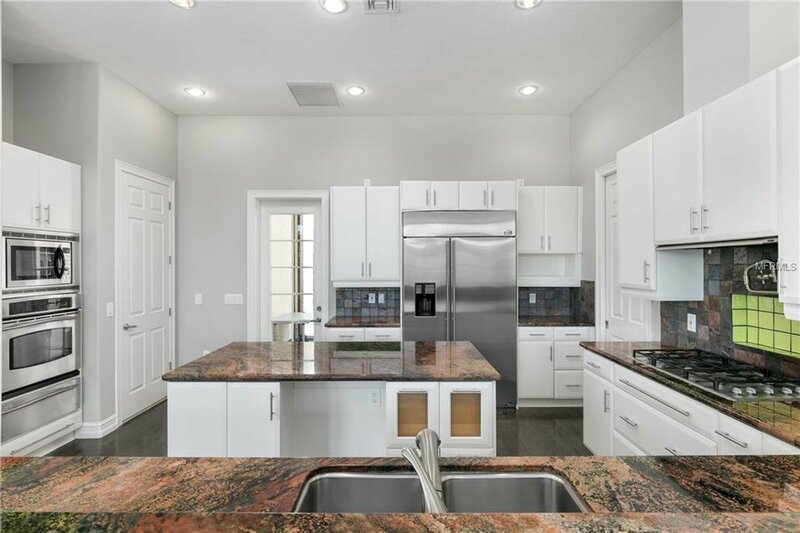 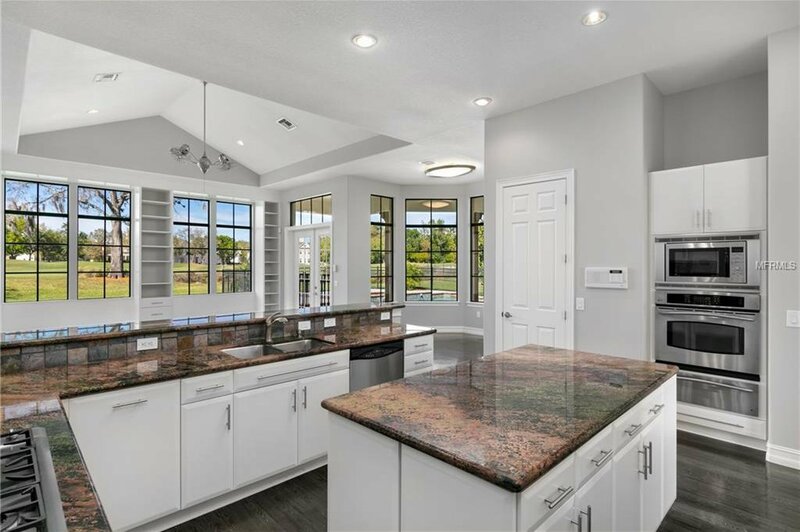 The chef in the family is sure to love the modern kitchen with its exotic granite counter tops, large center island, top of the line stainless steel appliances and a six burner gas cook-top. 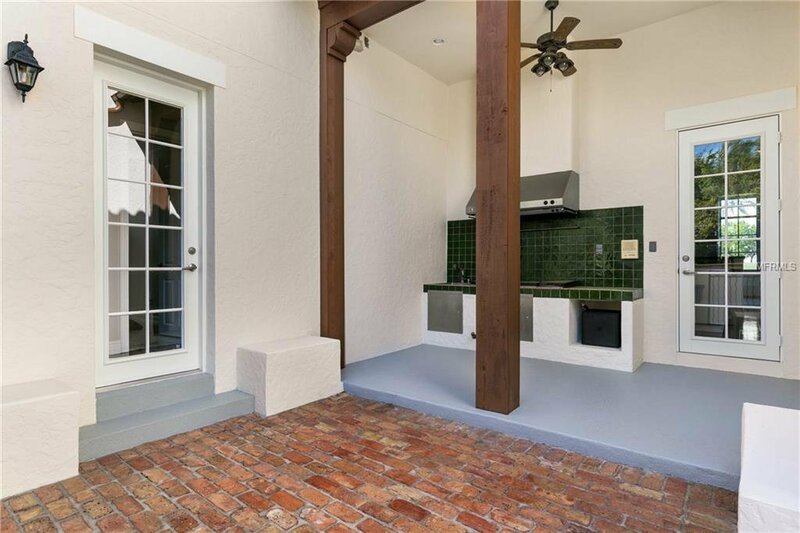 The kitchen also opens to an outdoor summer kitchen with a fryer, grill, cook-top, and lots of additional counter space. 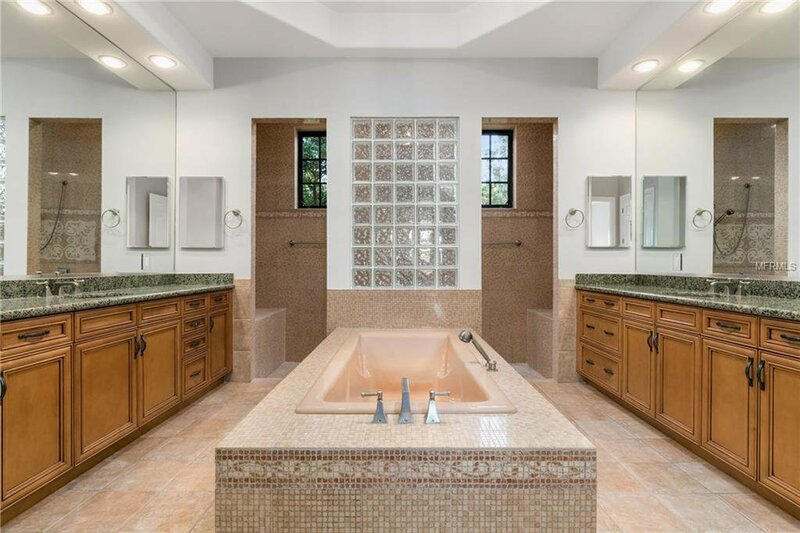 The spacious master bedroom suite features a separate sitting area and a spa bath with dual sinks, a walk in shower, and a large tub for soaking away the stresses of the day. 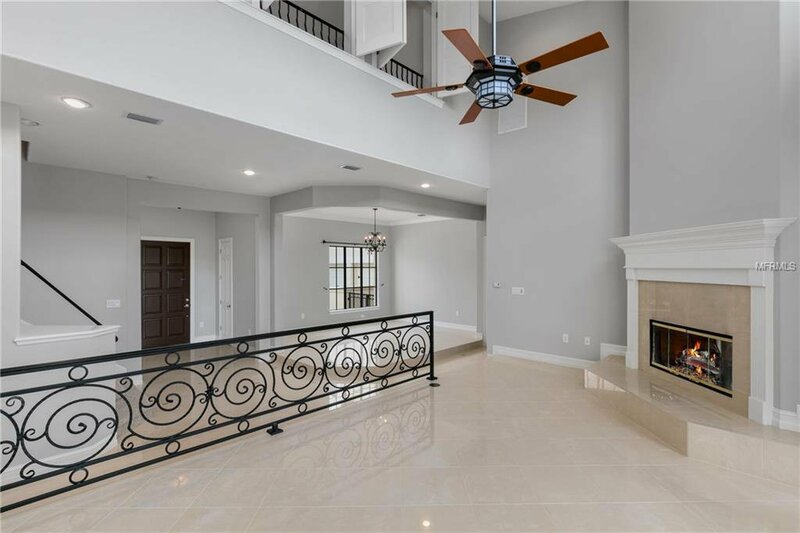 Upstairs you will find two additional on suite bedrooms and a large loft area overlooking the formal living room. 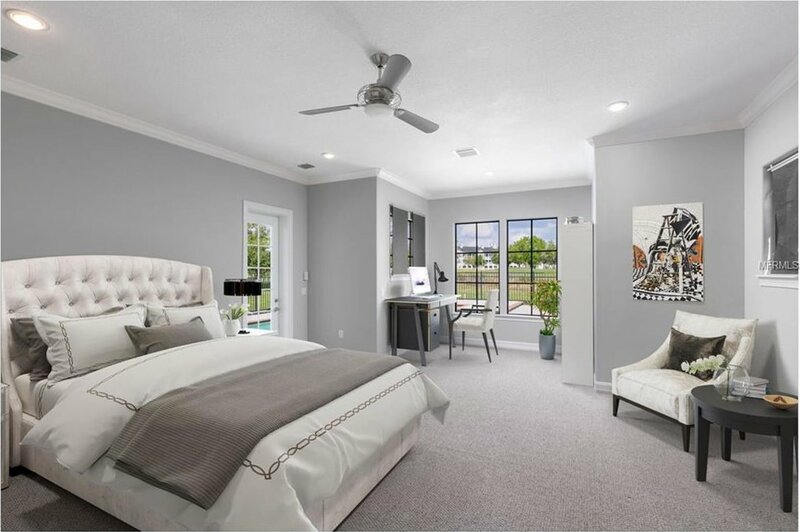 Additional amenities include a home office, a work out room, two additional first floor bedrooms and a guest apartment above the garage. 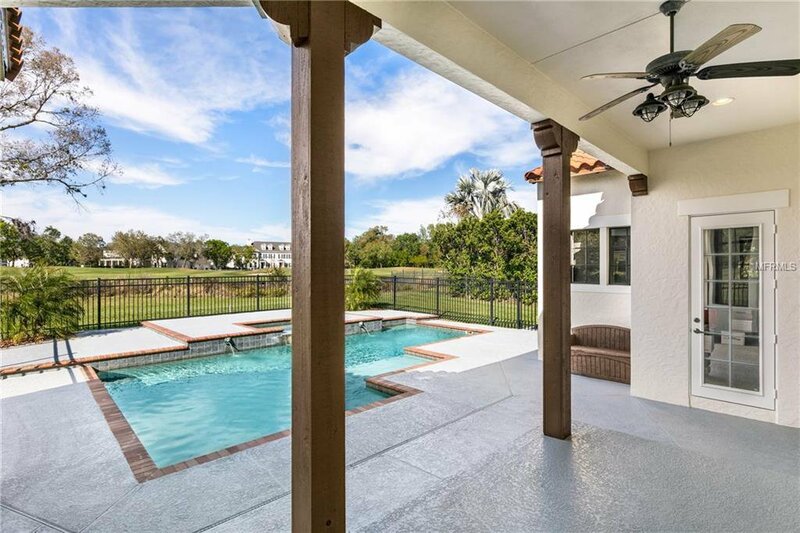 The outdoor spaces are as equally impressive as the interior, including a large covered patio space, a sparking pool with a shallow beach area, and a large hot tub. 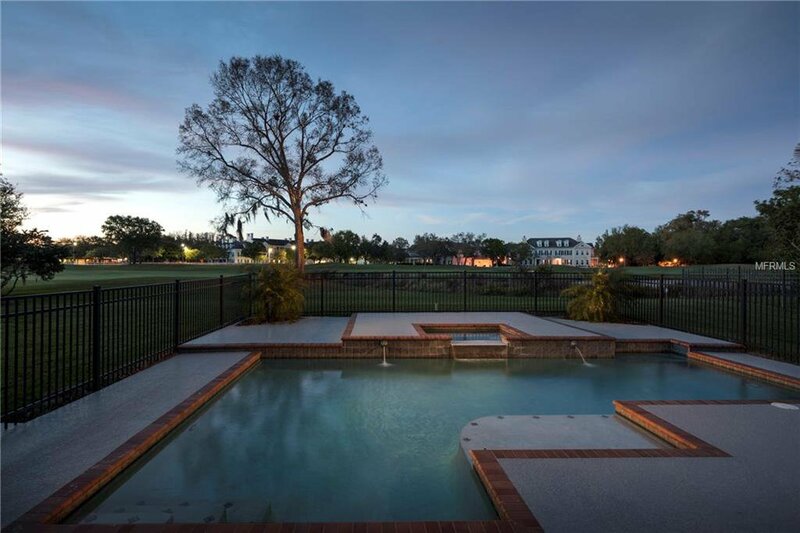 Living in Celebration is all about the lifestyle from the Robert Trent Jones designed golf course to the vibrant town center, unparalleled community events, the “A” rated schools, and a state of the art hospital, not to mention the fact that you are just minutes from the airport and all of the area attractions.